MapPost is a mobile and browser-based app for saving and keeping track of all your favorite destinations and venues. 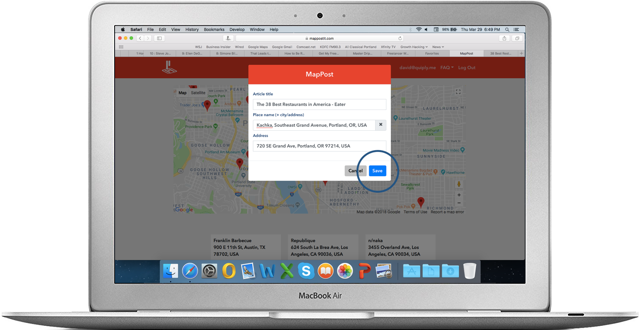 Your very own map is kept up-todate across all your devices and is readily available whenever and wherever you need it. 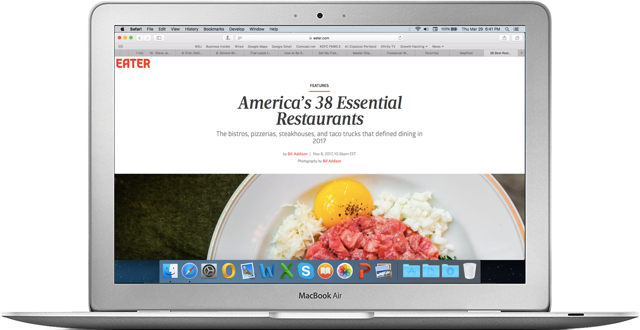 Which mobile browsers and apps can I save articles from? 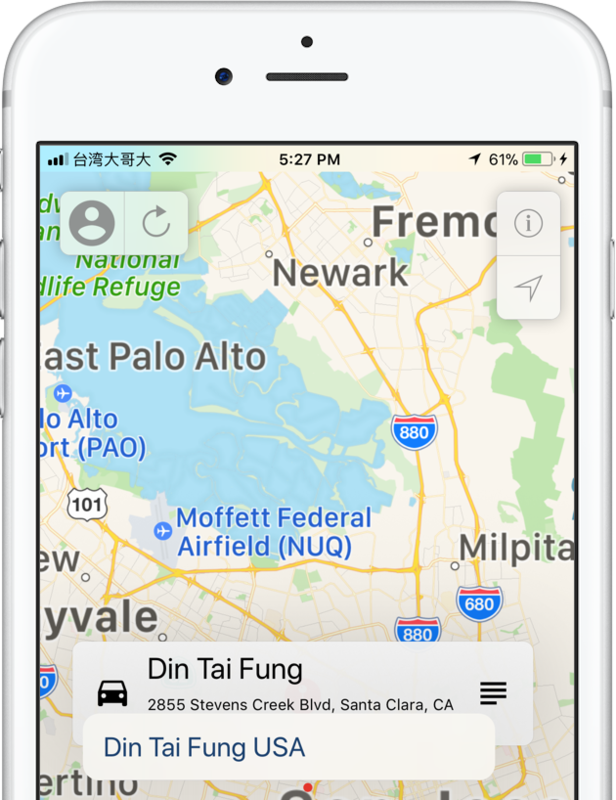 The iOS version of MapPost supports Safari, Firefox and Chrome mobile browsers. It also works with a wide variety of popular iOS apps. 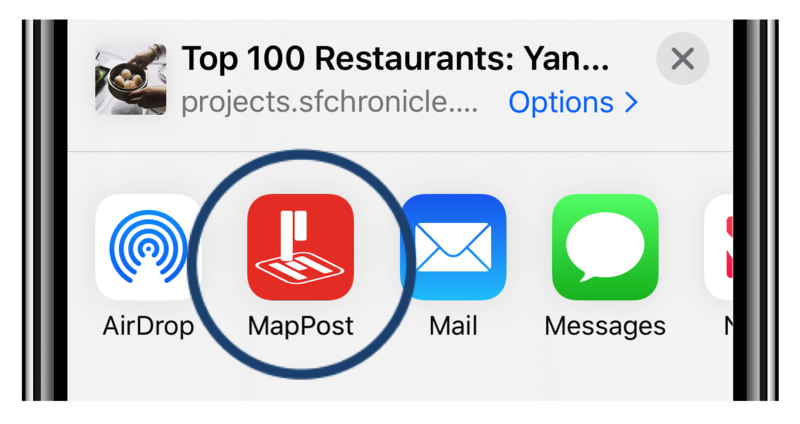 If your can add MapPost to your favorite app’s 'Share' button, you should be able to save to MapPost. As of the date this FAQ was published, you could save directly to MapPost from the following iOS apps - Twitter, Pinterest, Medium, Evernote, Pocket, Quora, Apple News and Business Insider. 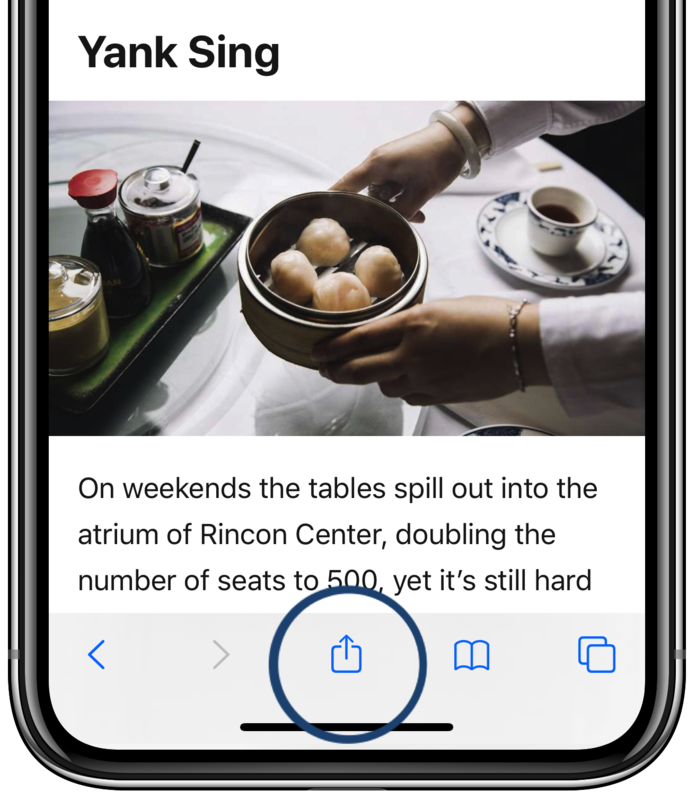 If an app that doesn’t allow you to share directly to MapPost, does allow you to view the article in Safari, you can save to MapPost from Safari. The Facebook mobile app is an example of such an app. 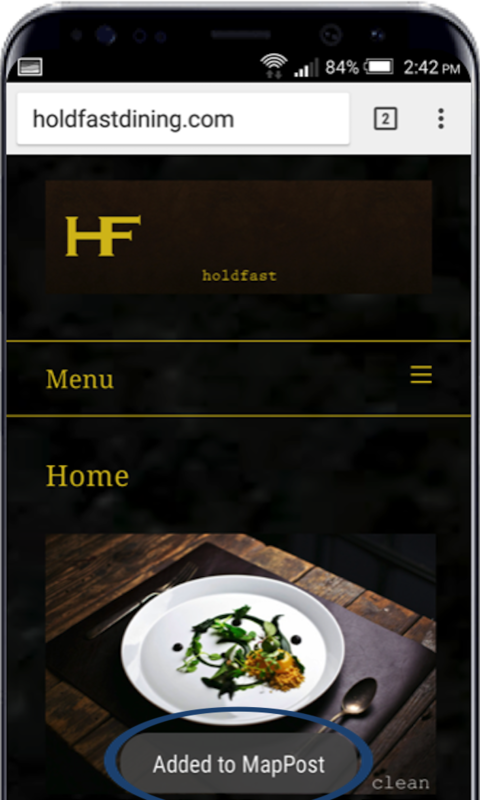 The Android version of MapPost supports Chrome and Firefox mobile browsers. 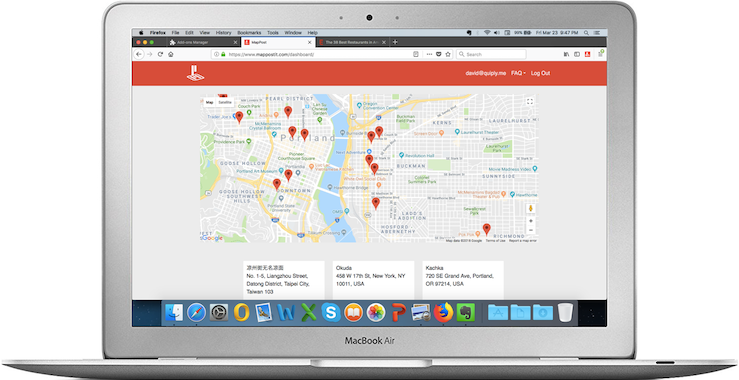 We’ve also tested it with a wide variety of popular Android apps, such as Twitter, Pinterest, New York Times, Medium, Business Insider, Evernote, Pocket, TripAdvisor, Yelp, Quora and others. If your favorite app’s 'Share' button shows MapPost, you should be able to save to MapPost. Also, if an app that doesn’t allow you to share directly to MapPost, does allow you to view the article in Chrome, you can save to MapPost from Chrome. I see 'red', 'blue' and 'green' pins on my mobile map. What’s the difference? Blue pins are popular places, venues and locations, and have been saved by multiple users. Blue pins are anonymous, so no one will know which users have saved these locations. Green pins have numbers inside them, and represent clusters of pins that are too close together to be resolved at the scale you’re viewing them. Who can see my pins? Your pins (red pins) can only be viewed by you. 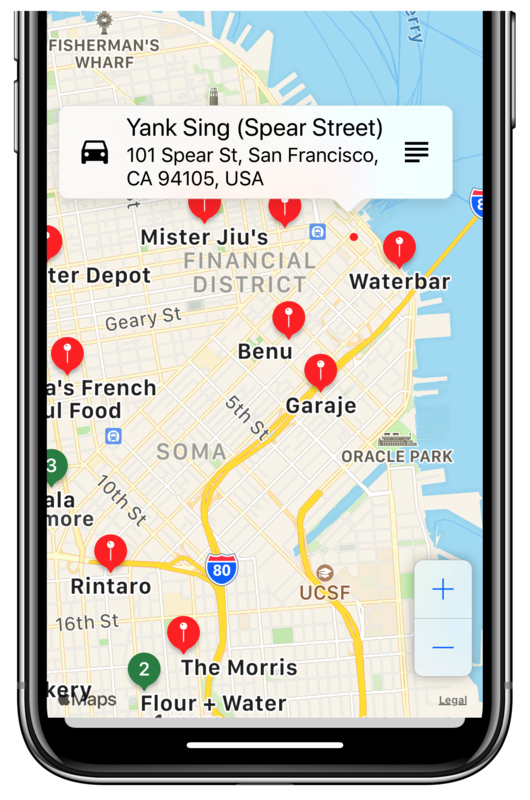 Some of your pins may also be popular places, but neither you, nor anyone else, will know who else has saved these locations. Can I see who is using MapPost? To protect user privacy, it’s not possible to see who else is using MapPost. All pins are anonymous, so no one will know who has saved a location. How do I delete my pins and/or articles from MapPost? You can delete your pins and/or articles today when you are logged into your MapPost account using a browser. You’ll also, soon, be able to delete them inside the MapPost iOS and Android apps. If you see something you think is inappropriate (e.g., obscene, racist, pornographic or otherwise inappropriate), please report this to MapPost immediately. Contact us by sending an email to [email protected]. Please be sure to indicate the name of the venue or location that the inappropriate content has been associated with, so that we are able to resolve this issue as quickly as possible. Help, this "FAQ" doesn’t answer my question. If you have any questions not answered in this FAQ, please contact us at [email protected] and let us know. 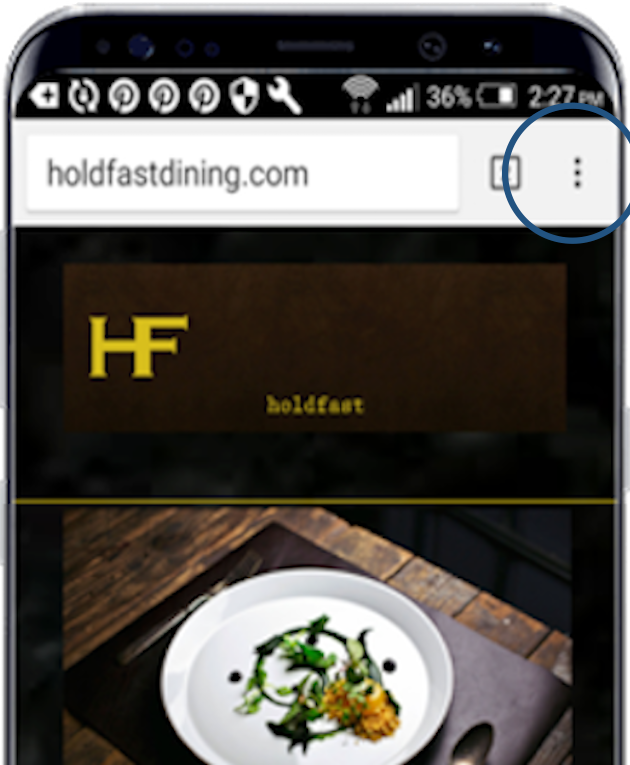 Tap the Share button at the bottom of the browser. Steps 1b & 1c below need to be done only once, the first time you save an article to MapPost. Once you've enabled MapPost Saving you can, in the future, go from Step 1 straight to Step 2. Swipe the icons in the top row to the left, and then tap the 'More' icon. Toggle the MapPost 'On/Off' switch to the 'On' position. Then tap 'Done'. 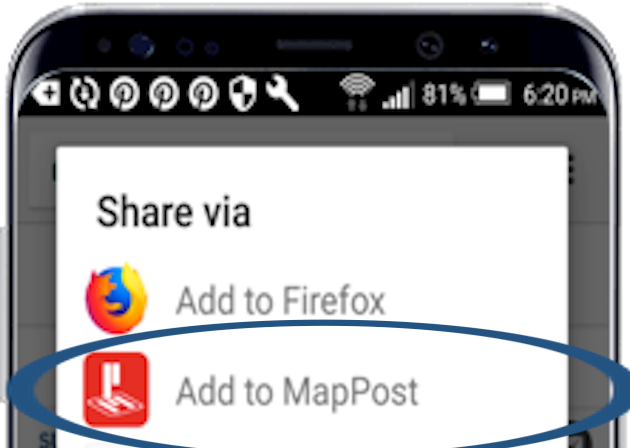 Tap the MapPost icon to share browser content to MapPost. Enter Place Name and 'partial' Address (such as Street Name, City, State or Country). Select correct Destination. 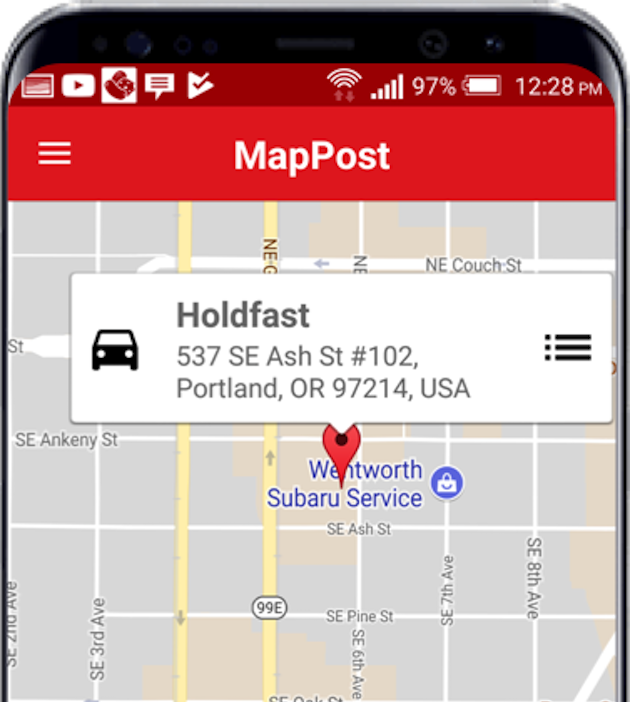 Tap 'Save' to save article and destination in MapPost. You'll see the 'Saved' dialog box after the save is complete. Tap 'OK' to finish. Your article and destination are now available in MapPost. 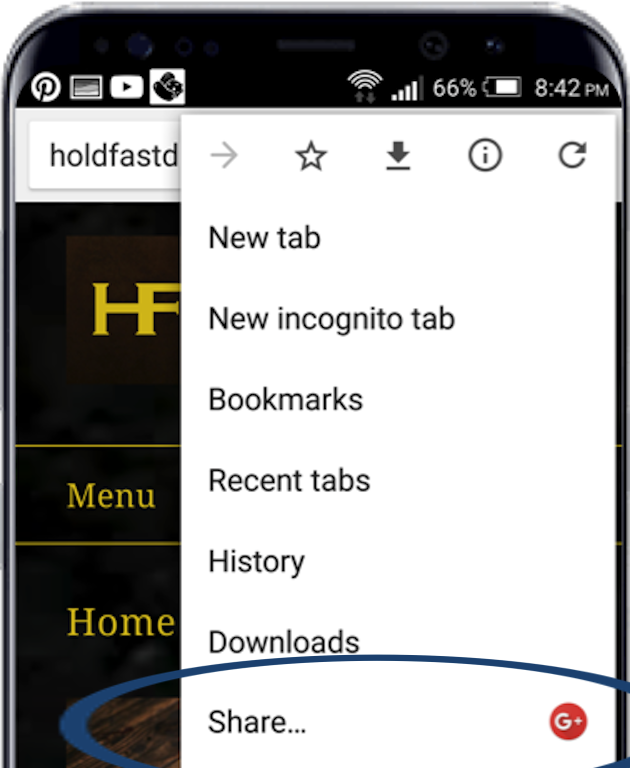 Tap the Chrome Options button at the top of the browser. Tap on 'Enter Place Name or Address'. Enter Place Name and 'partial' Address (such as Street Name, City, and/or Country). Select correct Destination. You'll see the 'Added to MapPost' dialog box after the save is complete. Browse an article of interest. 1. 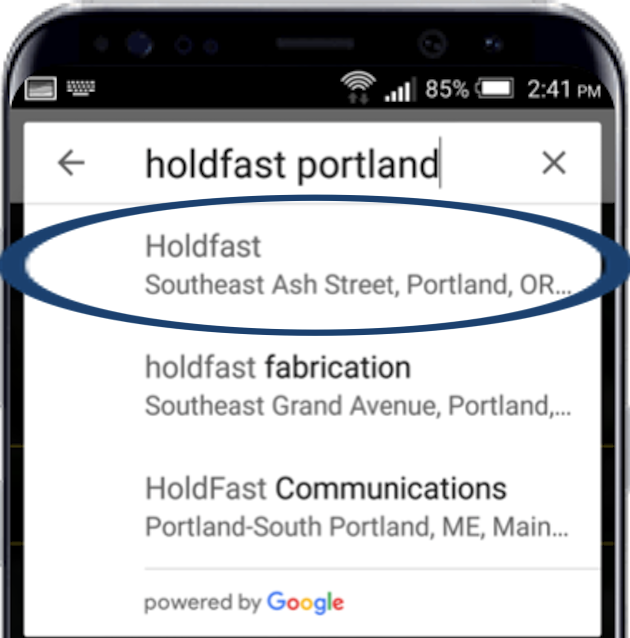 Highlight the location name you’d like to save. Now, you have 2 options for proceeding from here. Both options work well. Pick one. Your choice. 2a. Click the MapPost browser extension button in the upper right corner of the Chrome browser. 2b. 'Right Click' ('Control Click' on a Mac) on the browser window to display an extension pop-up. Then click the 'Save to MapPost' option in the pop-up. 3. Select your desired location from the list. 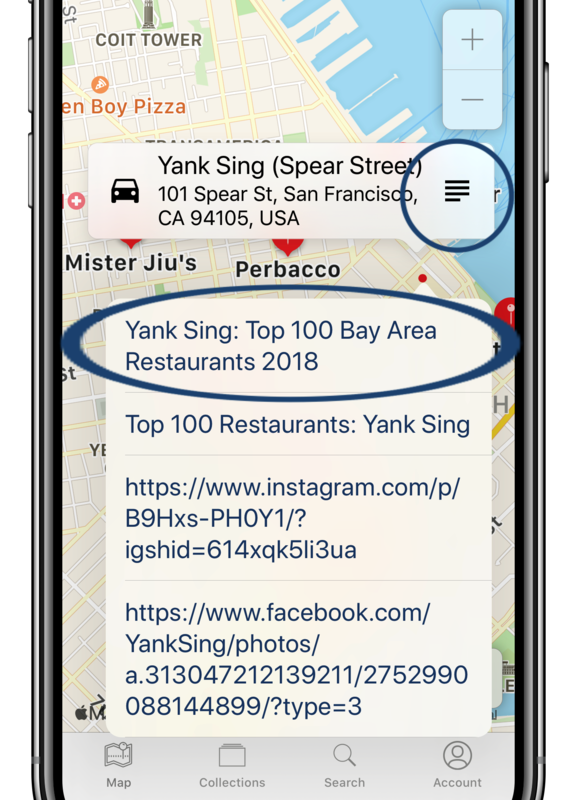 If you don’t see your desired location in the shown list (the full list may be truncated), enter a 'partial' Address (such as Street Name, City, State or Country), to narrow down the list of potential locations. Then select the correct location. 4. 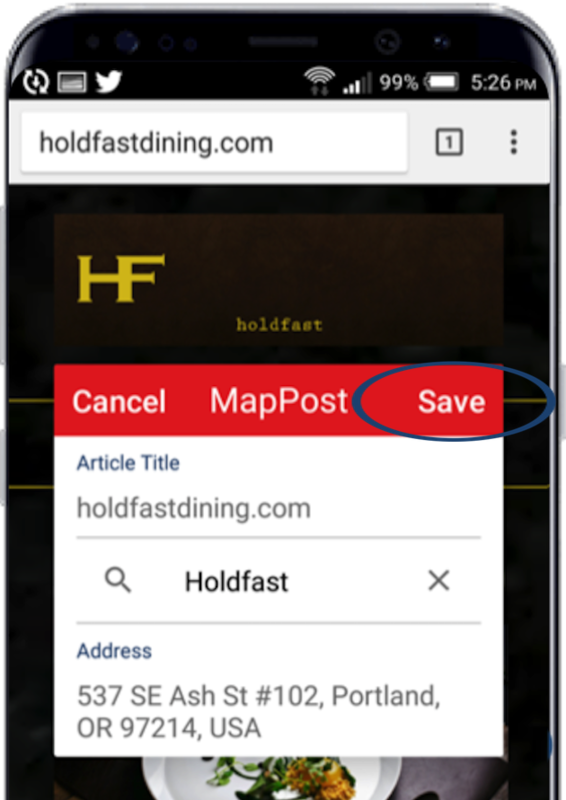 Click 'Save' to save the article and location in MapPost. 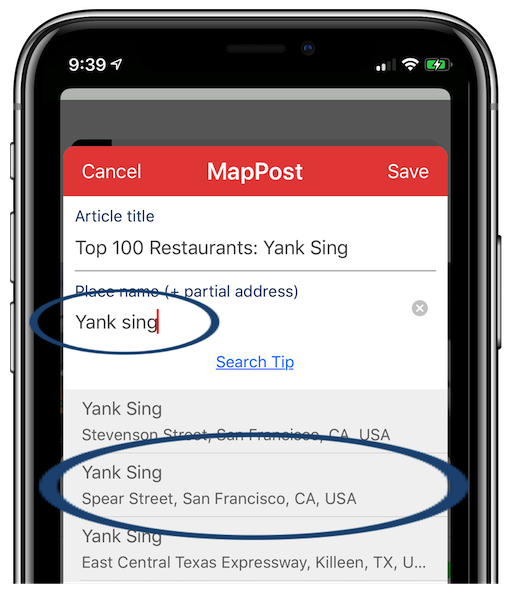 Alternatively, there is a third option for saving a location and article to MapPost. 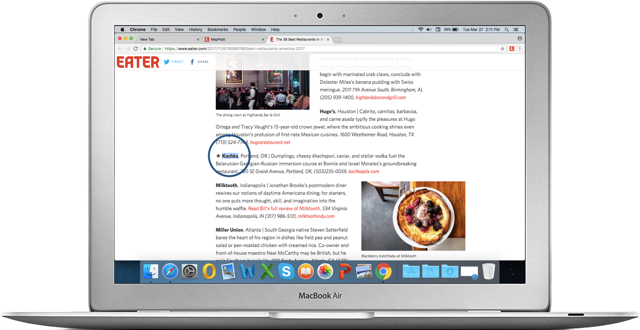 While browsing an article, you can click on the MapPost browser extension in the upper right corner of the Chrome browser WITHOUT highlighting any location name. Then type in the name (and partial address, if necessary) of the location you’d like to save where it indicates 'Enter place name …', select the correct location, and click on the 'Save' button. 2a. Click the MapPost browser extension button near the top of the Safari browser, in the tool bar and just to the left of the address bar. 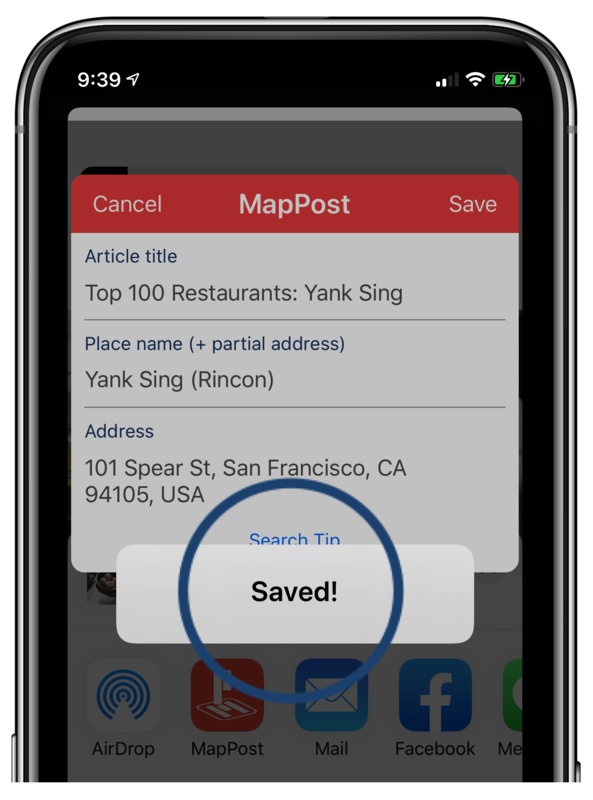 Alternatively, there is a third option for saving a location and article to MapPost. 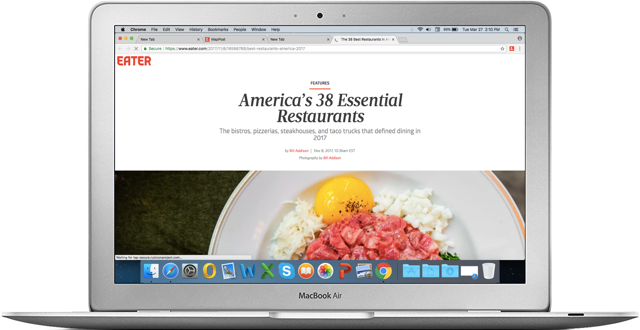 While browsing an article, you can click on the MapPost browser extension button near the top of the Safari browser, in the tool bar and just to the left of the address bar, WITHOUT highlighting any location name. 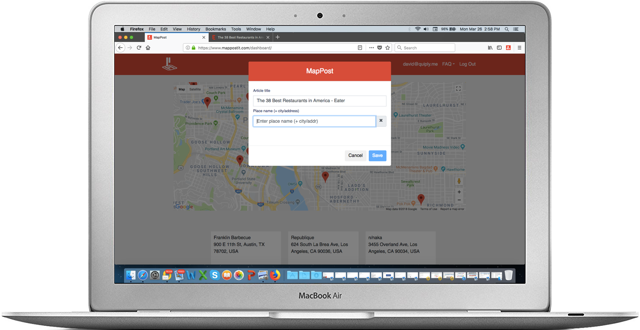 Then type in the name (and partial address, if necessary) of the location you’d like to save where it indicates 'Enter place name …', select the correct location, and click on the 'Save' button. 2a. Click the MapPost browser extension button in the upper right corner of the Firefox browser. 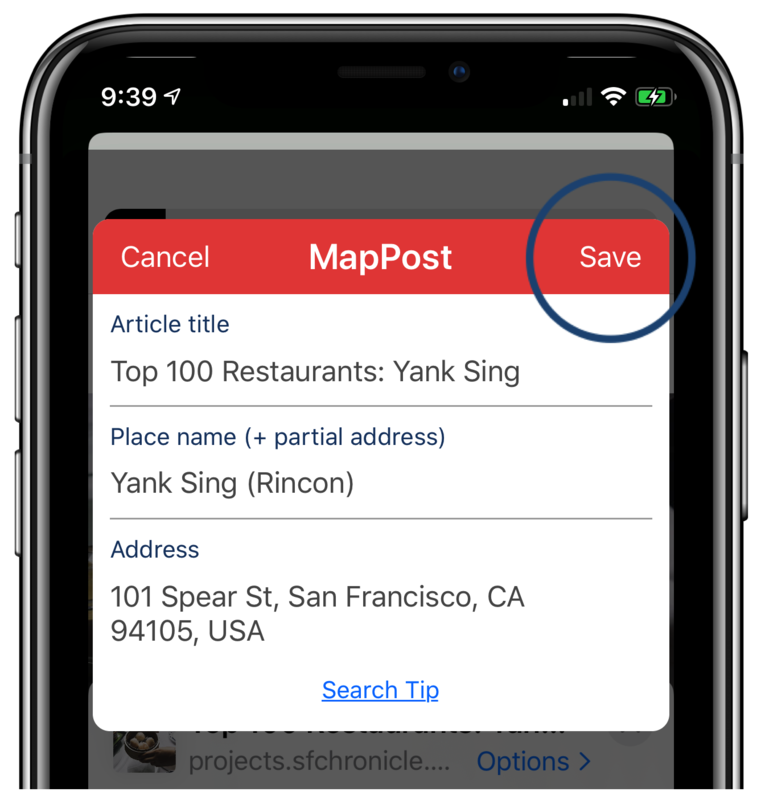 Alternatively, there is a third option for saving a location and article to MapPost. While browsing an article, you can click on the MapPost browser extension in the upper right corner of the Firefox browser WITHOUT highlighting any location name. 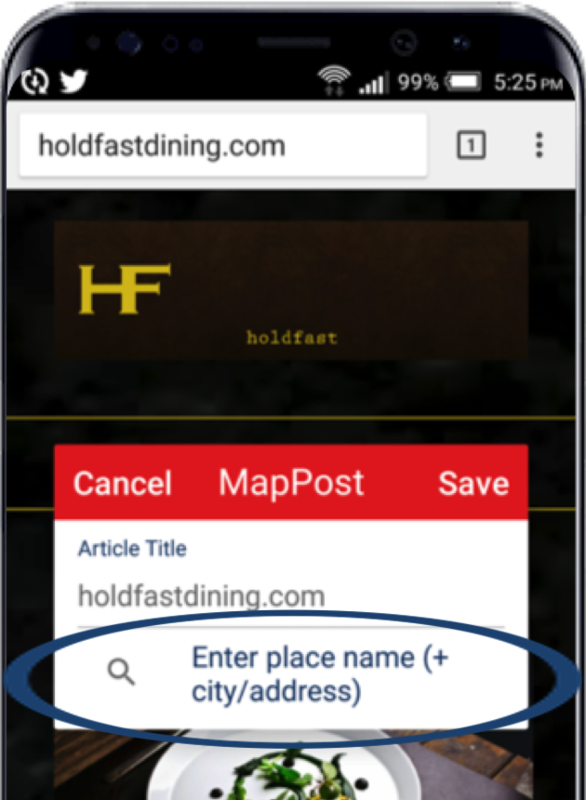 Then type in the name (and partial address, if necessary) of the location you’d like to save where it indicates 'Enter place name …', select the correct location, and click on the 'Save' button.